KOHANA is an EXCITING AND BEAUTIFULLY ILLUSTRATED story based on a Native American creation myth. Kohana brings to life the myth of how the wolf became the dog. Native American myth played an important role in helping America’s indigenous peoples live in harmony with the natural world, express awe for its beauty, and celebrate its bounty. 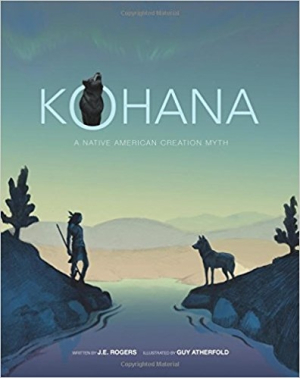 Kohana provides a glimpse into Native American wisdom, culture, beliefs, and the philosophy that all living things are connected.